In a recent press release, Nintendo has announced a contest on Facebook allowing fans to submit art inspired by our favorite franchise - The Legend of Zelda - for a chance to win a Wii U 32 GB Deluxe console with The Wind Waker HD included. The 50 finalists will have their artwork shown during the Seattle performance of Symphony of the Goddesses. For more details please read the full press release after the break. Nintendo is kicking off a contest on Facebook today that lets fans submit art inspired by The Legend of Zelda: The Wind Waker HD for the Wii U console. The creators of the five top selections will win a Wii U console and The Legend of Zelda: The Wind Waker HD game. In addition, the five winners and top 50 finalists will have their art displayed on the main screen at the currently touring The Legend of Zelda: Symphony of the Goddesses concert, where it will be accompanied by iconic music from The Legend of Zelda series. At the Sept. 12 Seattle performance of the concert tour, the five winners will also have their art displayed in the lobby of the venue. Based on one of the most popular and beloved video game series of all time, The Legend of Zelda: Symphony of the Goddesses features live orchestral performances of theme music from The Legend of Zelda games. The Seattle performance will also include game-play kiosks for The Legend of Zelda: The Wind Waker HD, The Legend of Zelda: A Link Between Worlds for Nintendo 3DS and photo opportunities with the King of Red Lions replica. The Legend of Zelda: The Wind Waker HD is a remastered version of the Nintendo GameCube original. The game launches in October for Wii U and features beautiful high-definition graphics, unique GamePad features and enhanced game play, such as faster sailing. 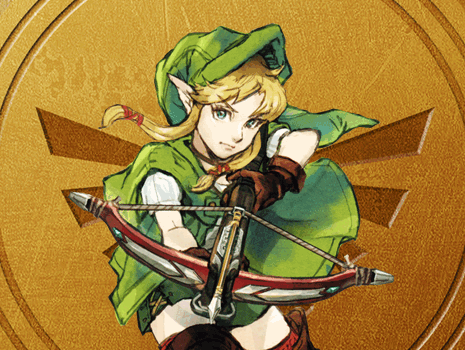 For more information about The Legend of Zelda: Symphony of the Goddesses, visit //zelda-symphony.com. For more information about The Legend of Zelda: The Wind Waker HD, visit //www.zelda.com/windwaker.